Push! 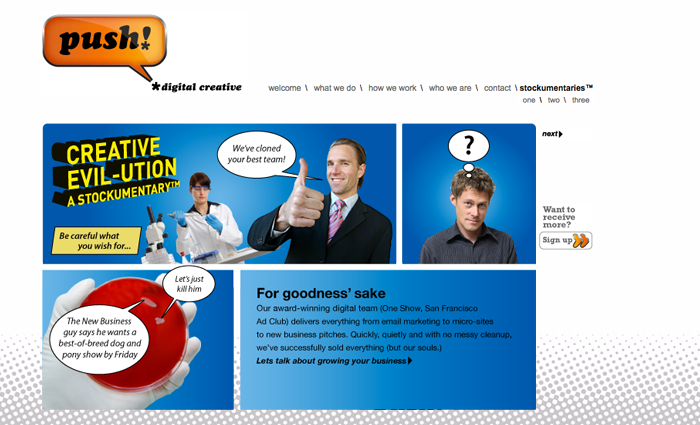 Digital Creative was a partnership with myself and another agency veteran, Helen Gaughran. The agency’s mission was to lend (well, sell) our industry experience to small businesses and entrepreneurs. The site features Flash animations and something we called “Stockumentaries” which is a comic strip made with stock images and replete with insider jokes. 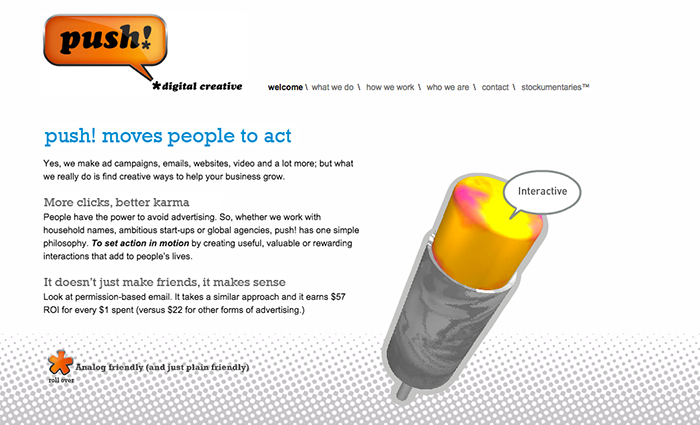 Co-creative directed and art directed identity and website for small ad agency.